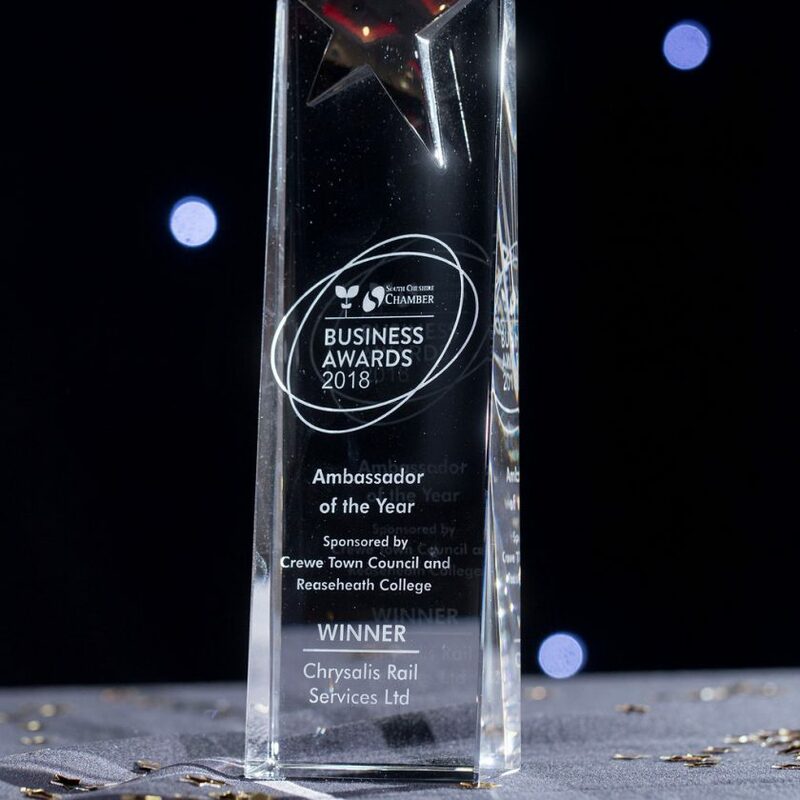 Chrysalis Rail were awarded the Ambassador of the Year Award at the 2018 South Cheshire Chamber Business Awards in November. 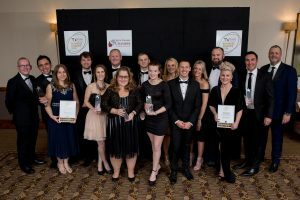 The 22nd annual business awards, held at Crewe Hall, hosted over 200 business representatives and civic dignitaries to celebrate local companies nominated in ten different categories. The judges for the Ambassador of the Year award were looking for a business that can demonstrate expertise and leadership in its field on a regional, national and / or international arena. This award aimed to showcase local excellence and recognise the high quality of Crewe and Nantwich businesses that impact far beyond the local area. 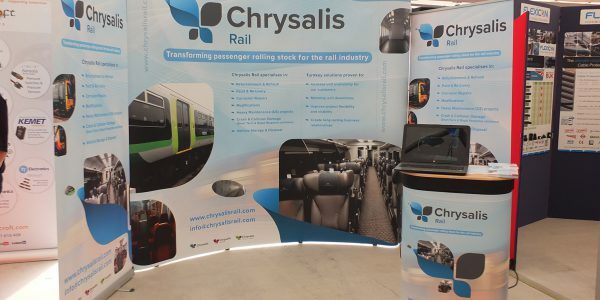 Chrysalis Rail were shortlisted as one of three finalists for the award and were invited to interview by the judge’s panel ahead of the event. Chrysalis were then announced as the winners of the award on the evening. Chrysalis Rail work in Crewe and across the UK to deliver rolling stock refurbishment and enhancement solutions to the rail industry. 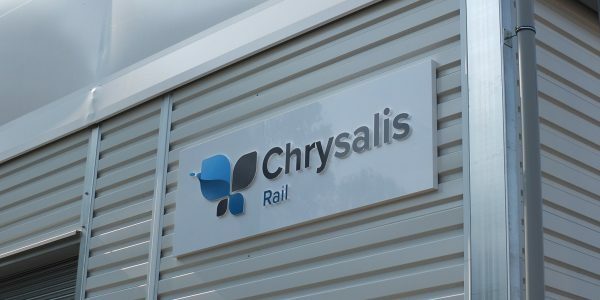 For the latest information about Chrysalis Rail and their services, please visit the news page of the website here, or follow our social media channels on Twitter and Linked In.